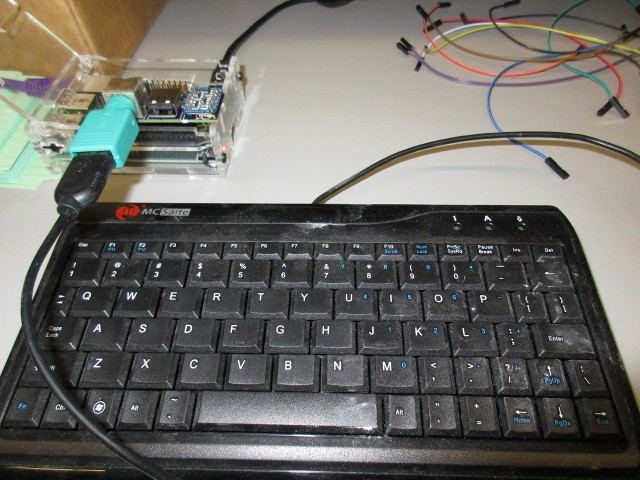 From the forums: Using a PS/2 keyboard with Raspberry Pi GPIOs #piday #raspberrypi @Raspberry_Pi « Adafruit Industries – Makers, hackers, artists, designers and engineers! Thanks to Drew for sharing this post with us! Check out more here and in the Adafruit forums. Maybe you want to free up a USB port (especially on Pi-zero or Pi-aplus). Maybe you have piles of PS/2 keyboards gathering dust (perhaps one is a much treasured Model-M). Maybe you are writing your own OS and want keyboard access without having to write a full USB stack. The Raspberry Pi is great for hacking with, but it is hard to get keyboard input without using USB. If you’re running Linux that’s not a problem, but if you’re running your own operating system it’s a problem, especially if you don’t feel like writing a complete USB stack. The PS/2 keyboard interface is a very simple serial protocol, so I wanted to design a board that would take a traditional PS/2 keyboard and convert it to something that could be read with standard Pi GPIOs. This will be useful for the Advanced OS course I teach, as it is easy to get video output going but until now we couldn’t get keyboard input, only serial port which can be a bit awkward (you need another machine around to use your OS).